What’s a picture without a frame? Pretty for a while right, until it get crinkled and wrinkled, and torn. A garden is similar, it may look great, until it overlaps with your yard, until weeds sneak in and wreak havoc on your painstakingly planted masterpiece. Save yourself the headache, protect and accessorize your garden with these pretty yet effective garden borders. The world is your oyster, as they say in regards to garden edging. You can literally edge your garden with anything. 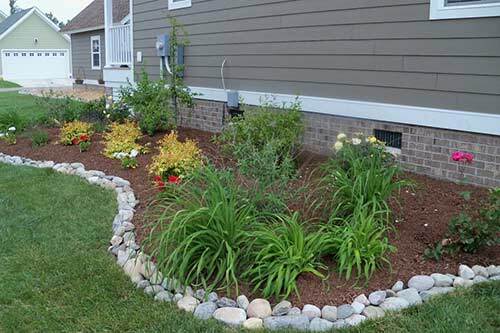 I have compiled the top 10 garden edging ideas which I personally have done or are going to do in my garden in the coming years. 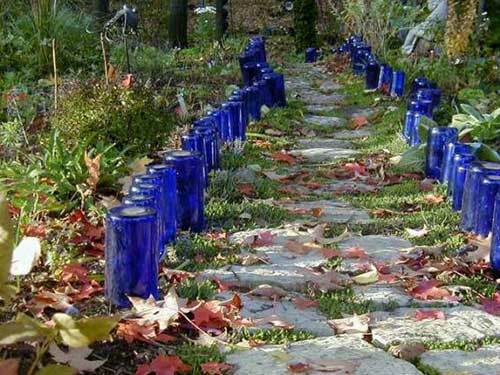 I’m a bit too neurotic for this type of edging, but if you have boxes upon boxes of wine bottles gathering dust because that last Pinterest project just didn’t quite turn out the way you thought, put them to use in your garden. They can be color coordinated, size coordinated, or mashed together in a beautiful mix of lengths and shades. 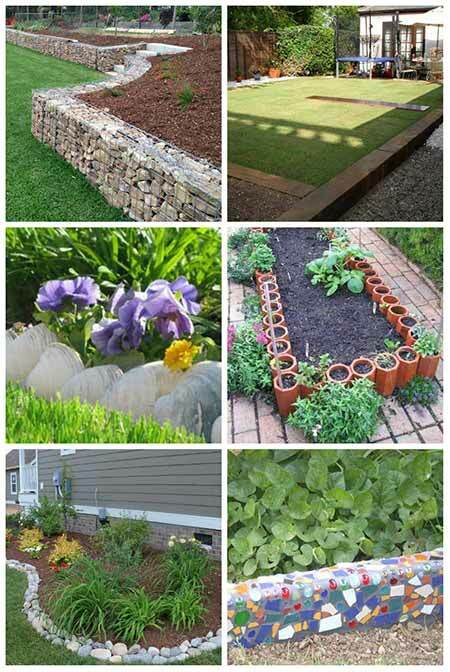 Check out 8 more brilliant garden edging ideas you can do at home on the next page.